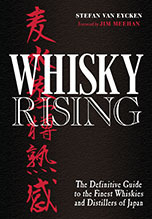 Just the label of this latest offering from Ichiro`s Malt is enough to send me scuttling for my wallet, but the thought of the whisky inside makes the temptation almost too much to resist. 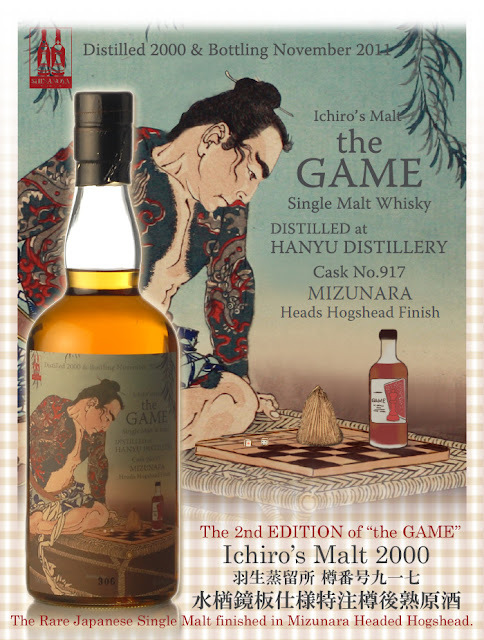 The 11-year-old single cask bottling (only 309 bottles are available at just below 8,000 yen a pop) is a sequel to the previous "The Game". The new 59.4-percent version has been finished in a "mizunara headed hogshead," which means that only the two ends of the large cask used for the final maturation were made of mizunara (Japanese oak) . That may result in a subtle hint of the typical mizunara influences. Sadly...it was gone before it was really available. If anyone knows any stores that have this in Tokyo...and not at a crazy rate, feel free to give them full credit, 'eh?